So NaNoWriMo was a complete wash-out. As in, I have not written a single word this month. Unless, of course, you count the 75,000 words of outrage I have shared with the universe via social media. I have, however, been contemplating plays. There are things brewing…and I’m hoping to tap into them soon. I love plays. They’re like novels without the work. Dialogue is the candy of the novel, which explains my love of the play. There’s none of that pesky prose getting in the way…the space between the talking is non-existent. It’s rather blissful. It was W. Somerset Maugham who said, “Thank God, I can look at a sunset now without having to think how to describe it,” when he moved from the laborious novel to the stage. I so totally agree! The Reasons – Winner of the 2008 Muskoka Novel Marathon’s BEST NOVEL AWARD. Discover Medicine for the People too. If you haven’t yet, you have no idea the beauty you’re missing out on! Or perhaps you just want to stay here on my site and read one of my 10-minute plays. My favourite is THE HISTORY OF US. The one that received the most traction is THE SPEECH, a comedy. Walk in Hemingway’s Footsteps! PARIS is calling! The 2016 Left Bank Writers Retreat – Holiday Discount for the Writer in Your Life! In June of 2014 I treated myself to one of the most remarkable journeys I have ever been on. Yes, it was Paris…and that’s always an amazing journey. But what made it special were the people that accompanied me on the journey. 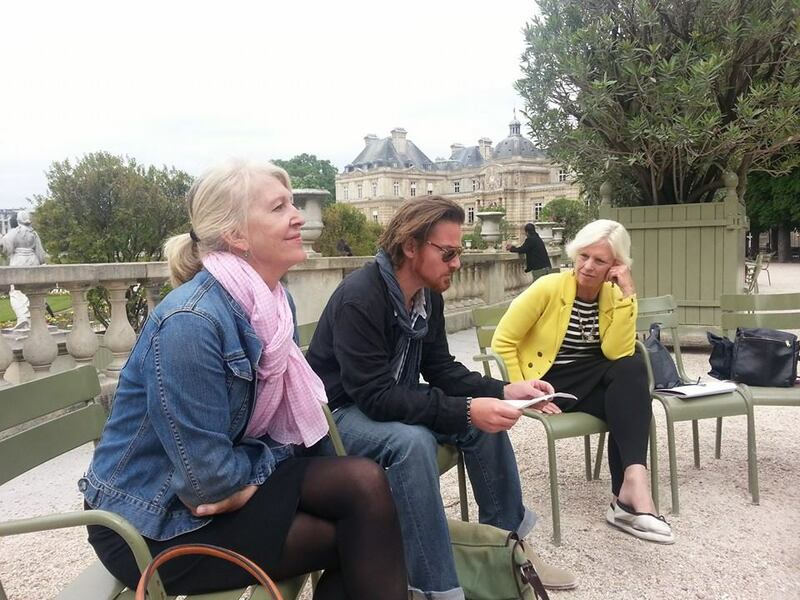 When you participate in the Left Bank Writers Retreat in Paris, you instantly become family with a handful of writers as you traipse together through the same Paris that Ernest Hemingway knew and loved. It is the opportunity of a lifetime to see Paris through the eyes of the LBWR facilitators. And they are currently having a holiday discount! As a past participant in the LBWR (June, 2014), I can tell you it was one of the highlights of my traveling/writing life. We lunched at amazing sidewalk cafes frequented by Hemingway, we wrote in the Luxembourg Gardens and in the Tuileries, we visited many museums, we took the Metro to Montmartre. We did it all. And the organizers–Darla Worden, Sarah Suzor, and, Travis Cebula–were absolutely incredible. There is not a thing about Paris that Travis Cebula does not know. He is just a non-stop wealth of knowledge. This is important when you have your evenings to yourself and you’re new to the city of lights. Travis was there with an answer to all inquiries when it came to mapping out our evenings in Paris. The three of them went well beyond all expectations, making my first experience in Paris a truly memorable one I will carry with me forever. Honestly, beyond the tours of Hemingway’s haunts and the writing exercises in the most beautiful parks of the city, we all just connected. And it was certainly implied that every year makes up another special familial group of Left Bank Writers. With Darla, Sarah and Travis serving as the glue that holds each year’s group together…you really can’t go wrong. As a holiday gift-giving incentive, anyone signing up for this summer’s retreat before Dec. 31 will receive a $200 discount off the $1,999 tuition for a reduced price of $1,799. The Left Bank Writers Retreat will take place June 19-25, 2016, and tuition covers all daily expenses during the retreat from 9 a.m. to 5 p.m. (breakfast, lunch, admissions fees and transportation around the city, as well as writing instruction). Writers are responsible for their own airfare and lodging. 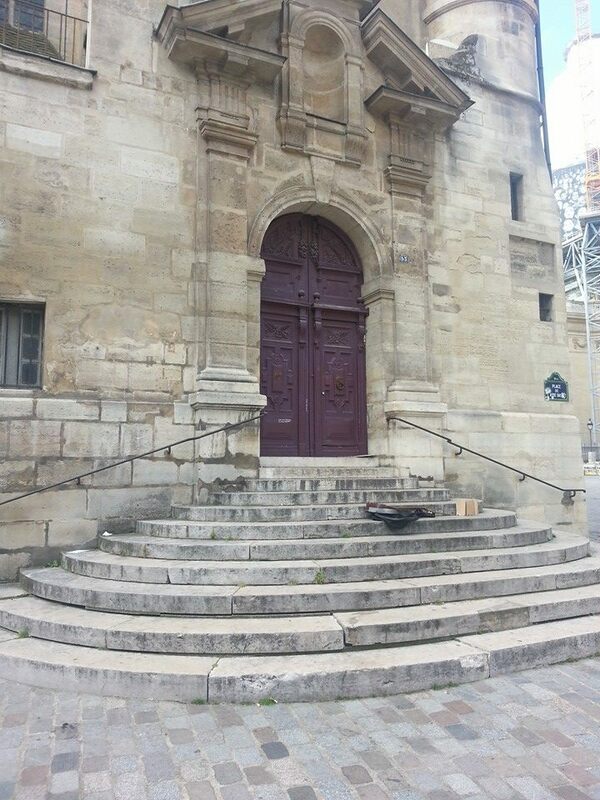 Open to all levels of writers, the Left Bank Writers Retreat in Paris includes morning writing sessions, coaching and one-on-one time with the instructor for a maximum of eight writers, as well as lunch each day, admission to museums and area sights and a picnic on the banks of the Seine. Recommended by the Los Angeles Times as a chance to follow in Hemingway’s footsteps and cure writer’s block, the workshop includes a literary tourism experience that treats attending writers to many of the sights featured in the Woody Allen movie “Midnight in Paris” as well as some newly opened and off-the-beaten-track literary landmarks. Darla Worden is a writer who lives in Jackson, Wyo., Denver, Colo., and Paris. Worden has written widely for magazines and authored several books. She writes the popular blog Frenchophile and is currently working on a book about Hemingway’s Paris. Now in its seventh year, the Left Bank Writers Retreat takes place on the historic Île Saint-Louis in the heart of Paris. Writers arrange their own lodging and transportation to Paris. For additional information, visit www.leftbankwriters.com. Make a decision that will change you or the writing loved one in your life. I promise…it will be incredible! Some pics of my Left Bank Writers Retreat adventure! In the evenings, participants are free to visit the sights of the city either on their own or with fellow participants. I discovered this beauty with fellow participant, Nina. Left Bank Writers Retreat creator Darla Worden, with fellow facilitator Travis Cebula and participant Nina Welch. We wrote in the Luxembourg Gardens most mornings!